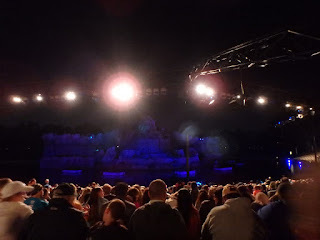 Wheelchair Travel Adventures: Walt Disney World: Hollywood Studios - Fantasmic! I'm pretty sure the last (and only) time Mik say Fantasmic was back in 2011 when we did the dessert package at Disneyland. We've always skipped it at Disney World because it didn't seem worth waiting to get in and it never popped up as a Fastpass+ option for the days we choose for our Hollywood Studios selections. We still would've skipped Fantasmic this trip except we decided to try to get another Fastpass after using our three for the day at Animal Kingdom and the only option at Hollywood Studios was for Fantasmic. For the wheelchair seating, they escorted our group to a spot at the top of one of the sections. 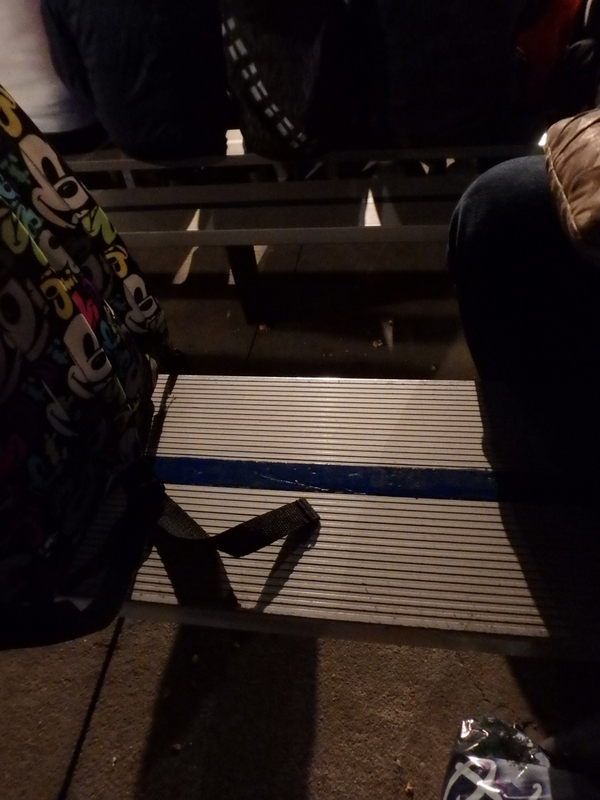 Here they have benches for one person to sit next to the wheelchair and two rows of benches in front that they keep clear for the rest of the people in the groups with wheelchair guests. 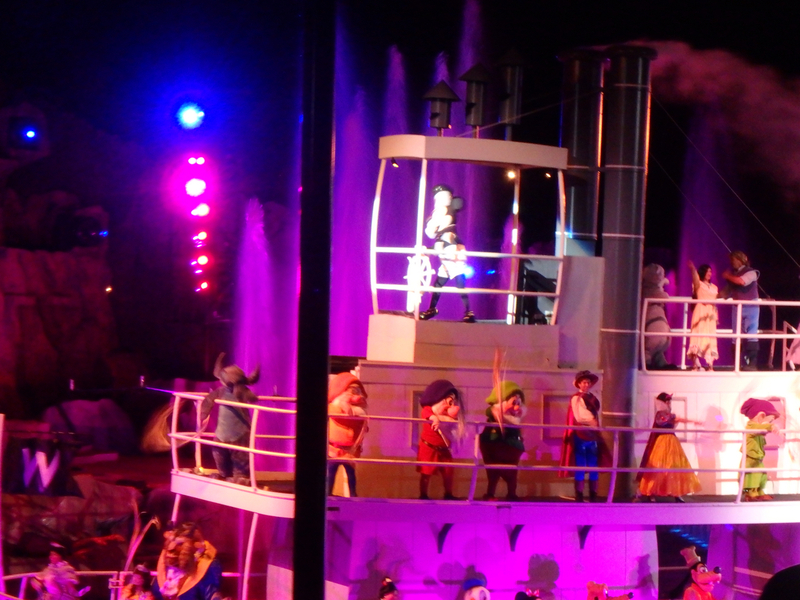 I know we're Disneyland snobs, so yes we think Fantasmic is just better on the Rivers of America. However, it really is a nice experience to be able to sit in the stadium style seating at Hollywood Studios with just a Fastpass rather than having to do the dessert package to be able to have a seat at Disneyland. I'm still not impressed that you end up with poles blocking the view, especially when it's in an area built for a show rather than how it's sort of improvised usage of Rivers of America in Disneyland. Overall though it was still enjoyable and we were particularly glad that we ended up at the top with Mik because it was cold and we only got a little mist from the show's water's effects. Disney's Hollywood Studios - Fantasmic!